– Myth has it bluebells are where fairies dance, so what better place to capture some magical images. Spring is the best season for wildflowers. So far it is looking like the bluebells may be a little earlier, but we are due to have a cold spell next week so I’ll keep checking on my locations. Last year we managed to shoot from the end of April to well into the latter part of May. This year I have two main locations one local and one a little special and a little drive from Wrexham, I also have some little reserve spots too. The Bluebell Wood at The Blue Bell Cafe at Barrowmore in Chester. 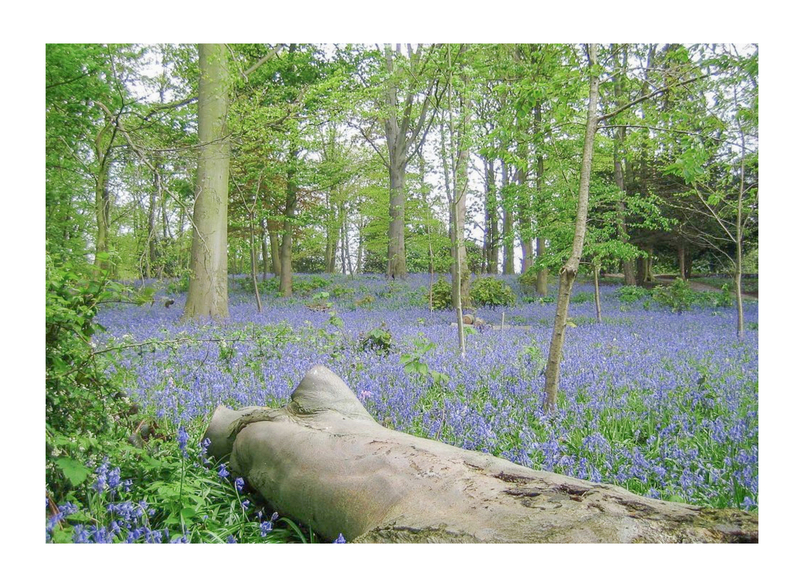 There is a gorgeous little wood that is looked after by the residents and local village, a percentage of your booking will be donated to the charity for the use of the wood. There is a beautiful cafe that does gorgeous food if you wished to eat there before or after our shoot you won’t be disappointed, however, I would advise you book a table as it is very popular and gets busy. Barrowmore is going to have set dates. This location is relatively flat, pram friendly and a short walk. The location is safe for children and dogs and is a very short walk from the cafe, there is a free carpark at the cafe and some additional parking in the little industrial estate if need be. There is also a little park and play area if you choose to bring a picnic and make an afternoon of it. More of a local one, in Plas Powers Woods, some parts of the wood are uneven and steep, there is a good 10-minute walk to the bluebell spots but if you have a pram we can park on the main road near the very top of the woods and enter it from there instead as there are a few safe pull in spots. With this location, we can be a bit more easy with the dates as its very local to me. All my extra little locations are all within 30 minutes of Wrexham all these locations are all child & dog-friendly 🙂 but with me being an outdoor location photographer there is always some walking involved. 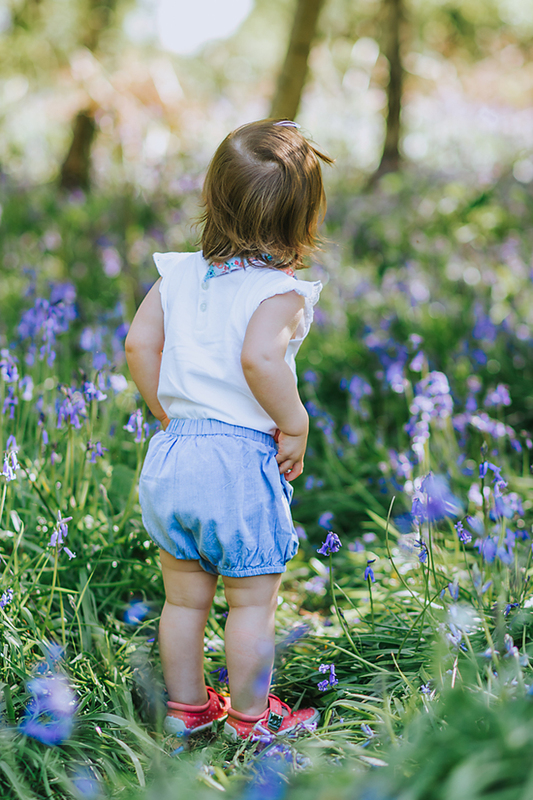 1) This session is not suited to babies or older grandparents who may be unsteady on their feet due to the woodland floor and the nature of the environment. However, if your child is sitting up unaided and you are happy to carry them from the path, then they are good to go, but they have to be able to sit unaided unless you’re happy to be in the images too. 2) Bluebells are a protected species so I ask that everyone takes care to step amongst them and not on them, and that at no point does anyone unearth them. 3) We will be shooting in a woodland environment, this means the ground could be wet, muddy, uneven and slippy. 4) Sessions will include some walking. 5) For the shorter Bluebell sessions, I would advise you keep it to a small group no more than 4 or 5 people, due to the time restrictions. 6) The weather! If it is drizzling we are good to go out as the trees will help keep us dry, but in full rain or exceptionally heavy cloud, we would need to reschedule. 7) If your child needs a little time to warm up to the camera then a full portrait session may be better suited to them, if you have any concerns about this you can drop me an email and I will advise you further. 8) Clothing choice is quite important with bluebells, once you book I will send you a little colour guide as to what coordinates best with the bluebells. 9) Securing your time slot or date will need a £20 non-refundable deposit, this will be deducted from the final balance due a few days before. Time slots for both days are the same, let me know your prefered date and time for Location One. *if you choose to upgrade and buy more digitals you can mix and match your prints with them. Should you wish to buy additional prints on top of the mini session the minimum print price will be wavered. As with last year, you can upgrade your mini session to one of my three digital image packages after you have seen your gallery and I’ll deduct the mini session fee from the upgrade of choice. 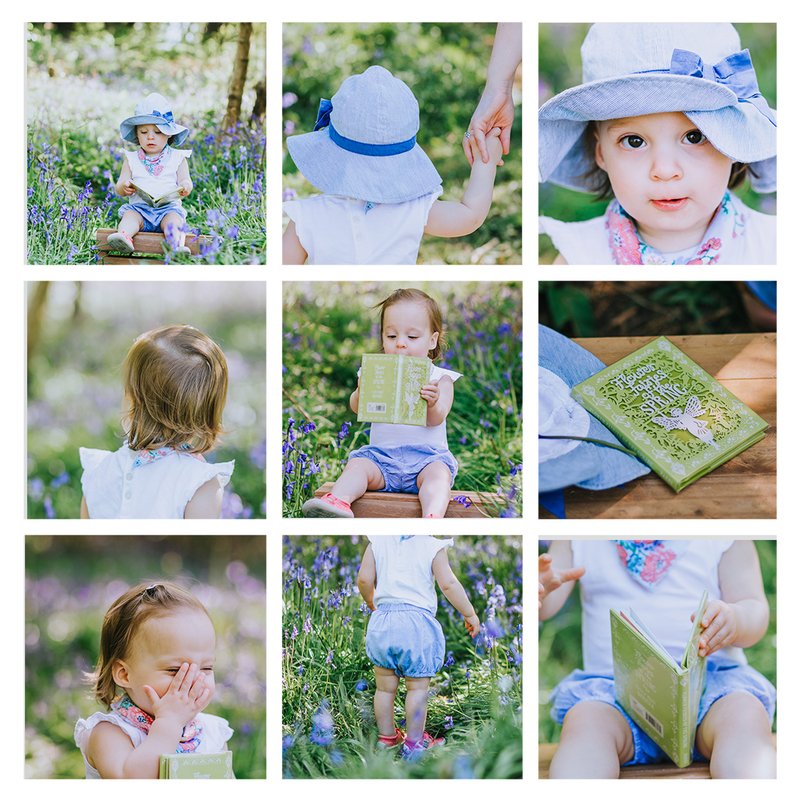 If’ you’d prefer a full session featuring some bluebell images, then we can also do this too. please contact me and we can discuss this further.